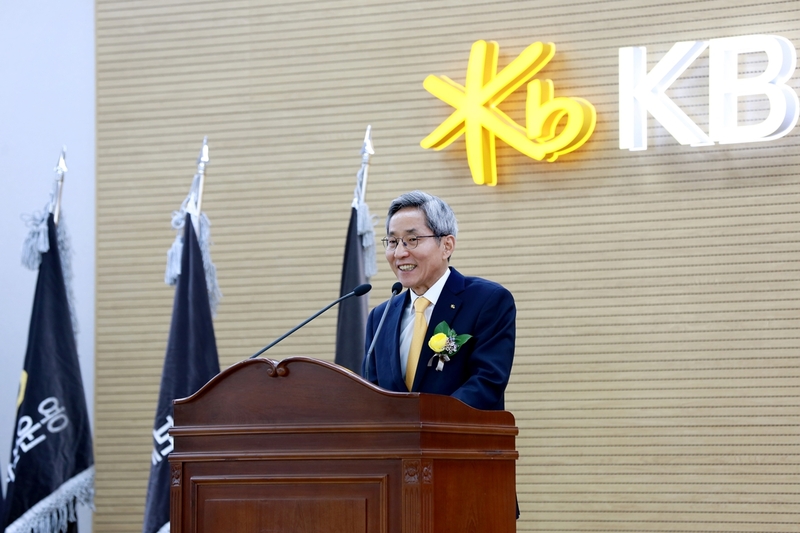 Chairman Yoon Jong-kyoo of KB Financial Group said in his New Year’s address that 2019 should the year that the financial group consolidates its position as the top financial group in the country by widening the gap with the second leading financial group and spurring the efforts to boost the group’s global operations. “We have to firmly set up our image as the leading financial group in Korea with its affiliates in such areas as the securities, banking, and insurance, securing top shares in their respective markets and also at the forefront of financial reforms.” said the chairman. 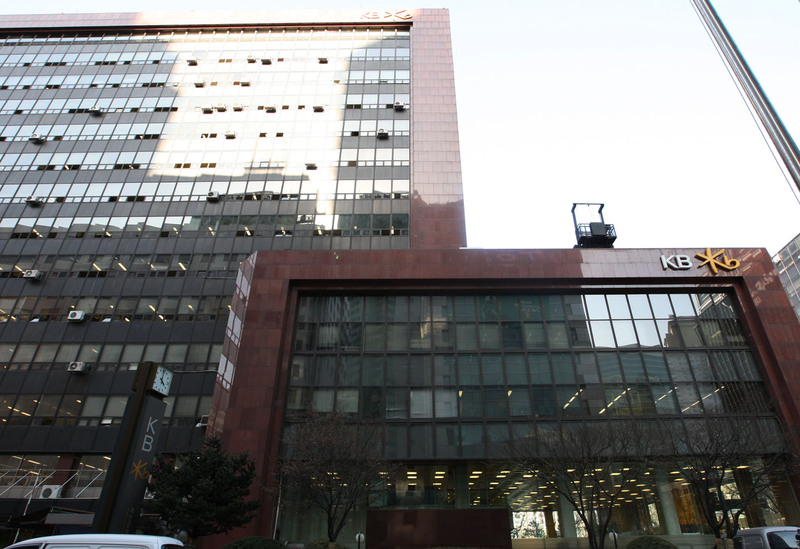 The keywords for KB Financial Group in 2019 will be digital, agile and young, following KB Chairman Yoon Jong-kyoo's group reorganization and appointments of younger new chief executives for key subsidiaries, according to the holding company. Among the change that has been highlighted is giving double duty for Hur Yin as KB Kookmin Bank CEO and the head of the group's innovation unit that will oversee all KB companies' digital transformation. Hur is expected to work closely with KB Financial Chief Digital Officer Han Dong-whan, who is also the senior managing director of KB Kookmin Bank's digital business. With this announcement of the newly created unit, the bank also said it has sealed a deal to extend its contract with boy band BTS, which will appear in KB's New Year ad that will be all about the digital transformation. “The unit will oversee all aspects of the transformation to prepare for a period where the wall between finance and nonfinance will be gone forever.” said a KB spokesperson. Also, Sung Chai-hyun will remain as the chief public relations officer of the group, and has been promoted to senior managing director of the bank's consumer brand strategy. Other new units to the group's organizations include one focusing on retail customers and the other on small- and medium-sized enterprises. Those two units will work with wealth management and investment banking, the group noted. Also, a “control tower” has been set up to strengthen its marketing and service to KB's existing and future conglomerate clients. “This was all part of KB's One Firm plan” the spokesperson said, noting its main purpose is to maximize synergy and move fast together under the rapidly changing climate. Of CEOs of 12 subsidiaries, 11 were born in the 1960s. Chairman Yoon recently named his first female CEO Park Jeong-rim for KB Securities. She will run the brokerage with her co-CEO Kim Seong-hyun. Under KB Financial's RACE 2018 vision earlier this year, which stands for reinforcement, agile, customer centric and excellence, the group said making the digital transformation is in line with its efforts to become a “first mover” from being a fast follower. A view of the KB Financial group building in Yeouido, Seoul.